These seem to be the current run of “How Not to Be a Jerk on the Trains” posters. 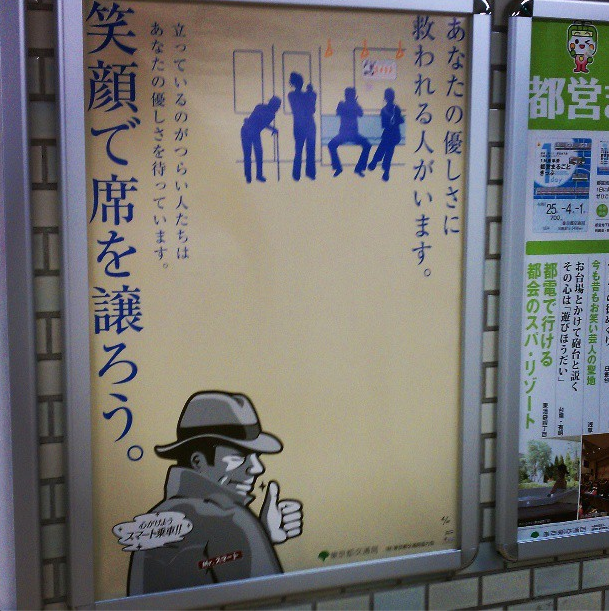 This one reads: There are people who can be helped by your kindness – give up your seat with a smile. There are four-six seats on each train car reserved for those in need – the elderly, pregnant women, injured folk, etc. Of course, if they’re not using them, others are free to (this is occasionally up for debate). 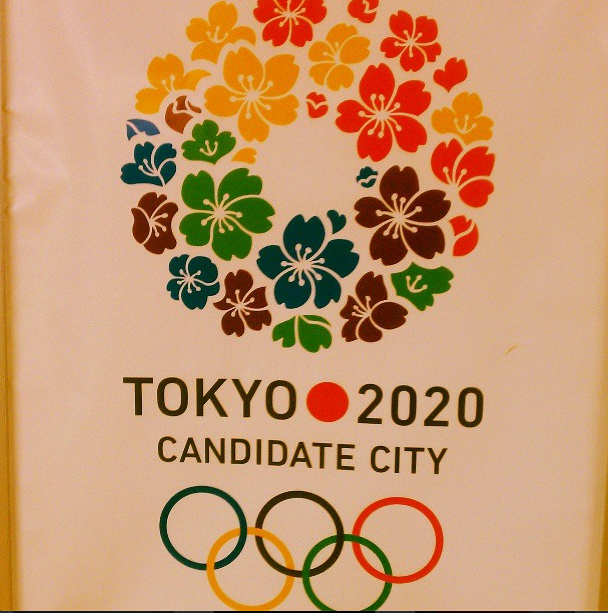 Photo Week – Tokyo 2020 Olympics? 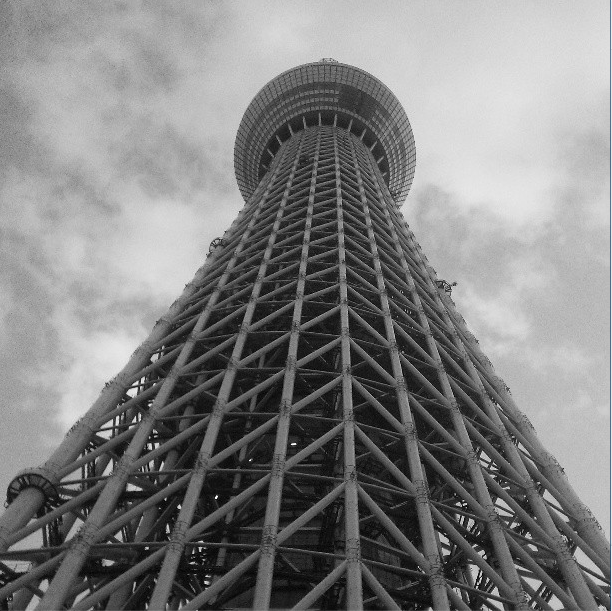 Figuring that this trip to Tokyo would generate more photos than I could possibly fit into even a series of blog posts, I decided to extend Photo Monday into Photo Week, a one-time only, Golden Week special. And then I left the computer cord at home. 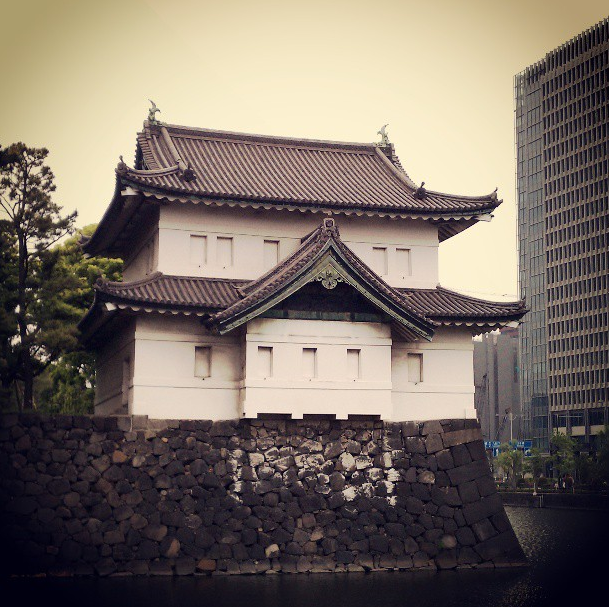 So these are going to be cellphone/instagram shots, assuming I get any good ones. Since nothing interesting continues to happen, we proceed with the breakdown of the four (five? six?) schools that I teach at. 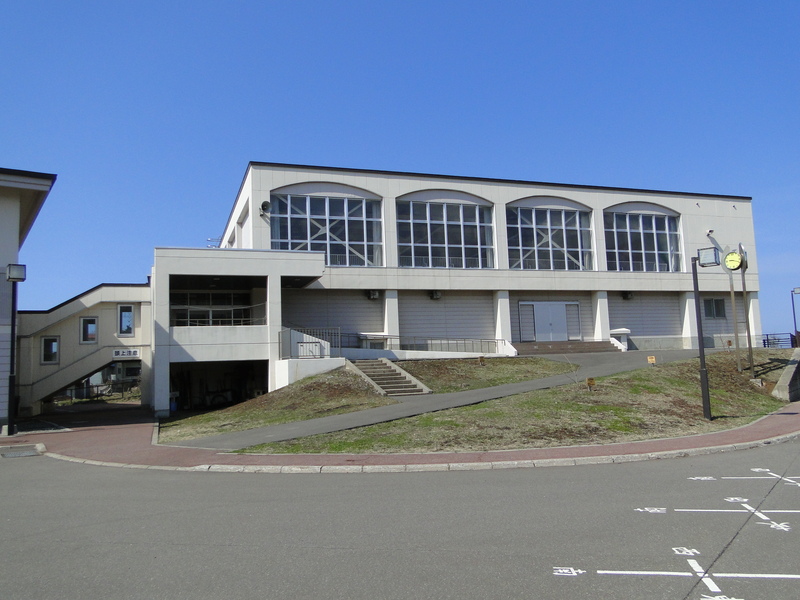 This one is currently my smallest school, in terms of the number of students. It and the other small elementary school seem to spend the year trading that title back and forth as students transfer in and others move away. At the moment it has two first graders, two second graders, four third graders, three fourth graders, one very lonely fifth grade girl, and four sixth grade boys. 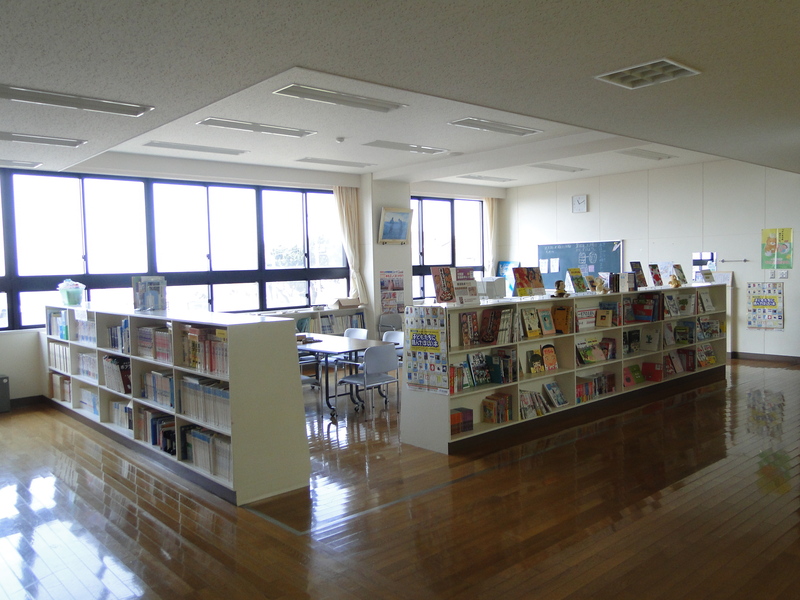 The classes double up – first and second in one room, third and fourth, etc. This building was formerly the junior high school for the area, but was turned into the elementary school about ten years ago when the town closed three junior highs and consolidated them at one central location. The original elementary school is about two blocks away – sometimes it’s used for “ghost” sleepovers by the students during the summer. 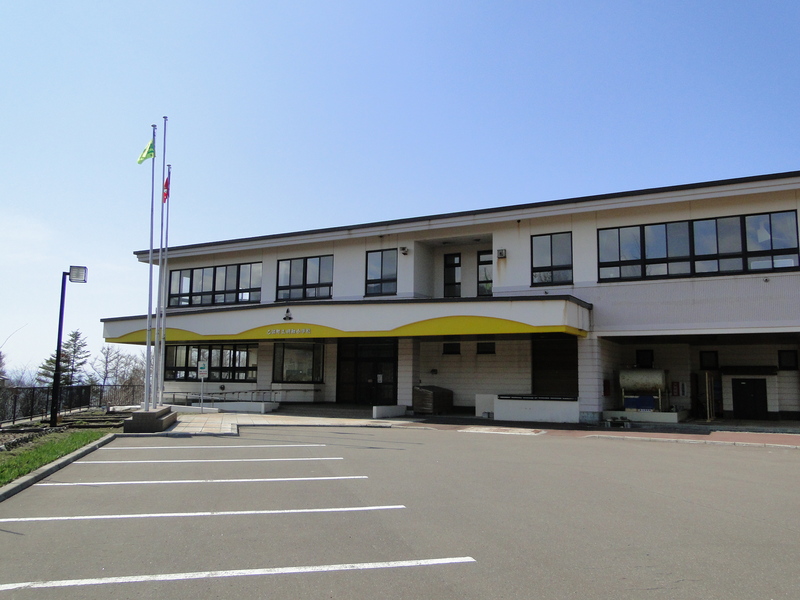 Because the population of the area has never been large, the school is small, with only three regular classrooms, plus a music room, science classroom, and home economics space. It’s nice because the students and staff rattle around less than at the other two elementary schools. Of course, because of this, they don’t have a dedicated English room. I go from classroom to classroom, carrying my materials. 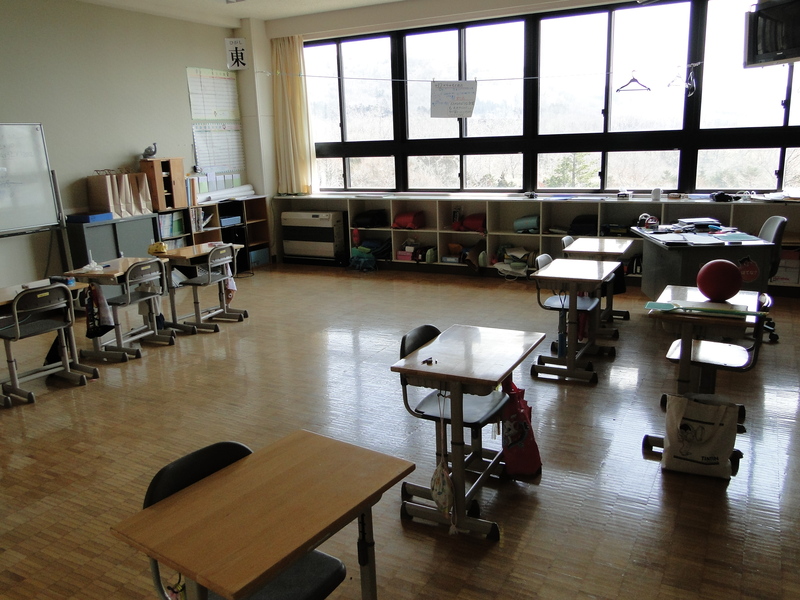 Because there are only 4-7 students in each class, the desks can be easily moved to the sides for games. As you can see, the fourth grade desks at the back of the room are turned towards the whiteboard. In the previous class, the teacher had set the third graders to reading while teaching the fourth graders math. The vice-principal and principal are also qualified to teach, so they also help take some of the load off the main teachers. I’ve been really enjoying having six projects on the go. Because of various obligations, it’s something I haven’t been able to do for a long time and it’s fun to see how things shake out. 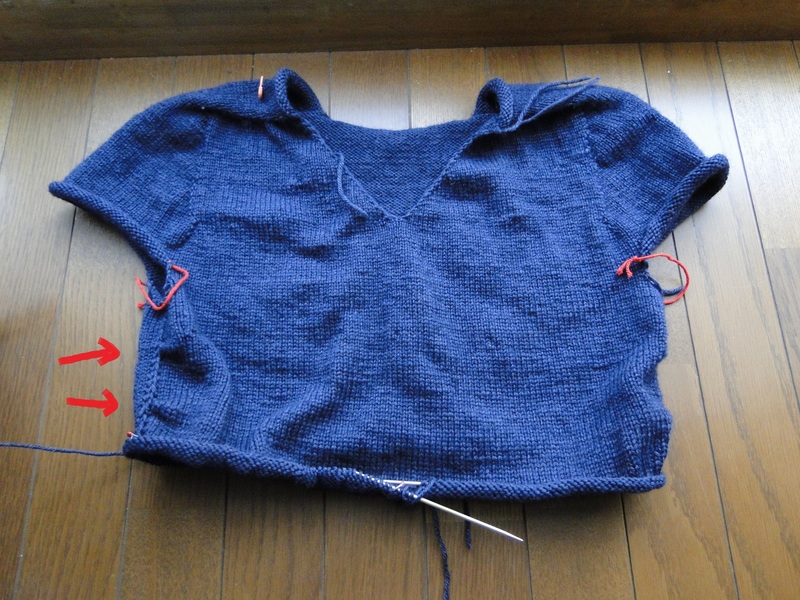 First, the Sweater in Fifteen Minutes a Day is back on schedule and proceeding a row at a time. At my current pace, I might be able to wear it in June. Whoops. I can’t remember if I’ve talked about the specifics before – the pattern is Mandel, a saddle-shoulder, top-down, seamless sweater by Anke, a German designer. It’s a fairly simple design, with some waist shaping and ‘pleats’ at the sides (indicated by the red arrows) and shoulders (difficult to see). There are pleats in the sleeves as well, but we’ll see. I’m always caught between following the designer’s whims and my own. It fits quite well from what I can tell and it looks good, so for the moment I’m following the pattern as written. They’re done! No, that’s a lie. 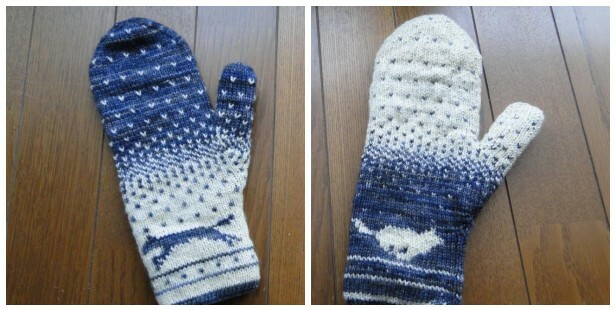 That’s one mitten – the left picture is it blue side out, as I knitted it. The right picture is the mitten turned to the white side. I’m debating with myself about knitting the second mitten because I know now that I will never wear these. For starters, the yarn is Malabrigo Sock and MadTosh Tosh Sock. So, expensive and 100% Merino. Lovely for hats, liable to felt and pill the first time I touch a steering wheel. So I’m thinking these might just be show mittens. Of course, do I need two mittens in that case? Decisions, decisions. 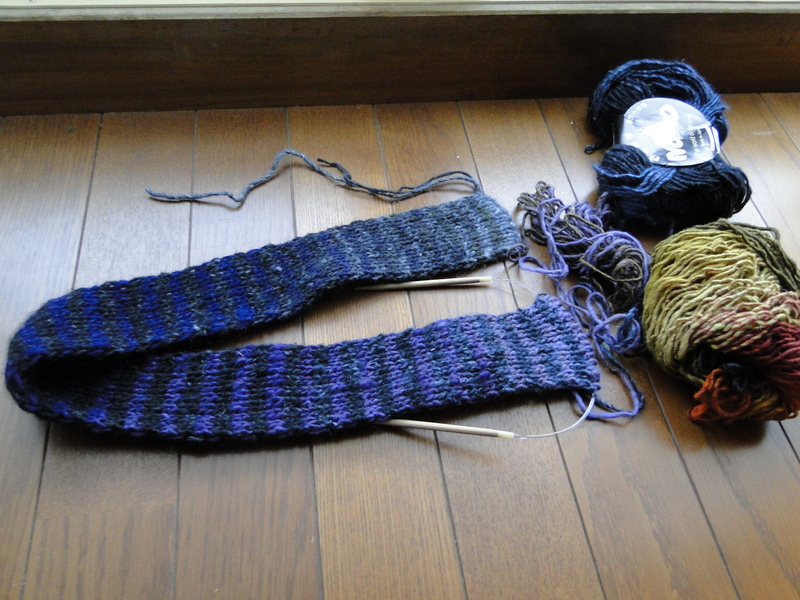 The Noro scarf grows thin and thick, thanks to the yarn. This has become my drunk knitting, for work parties. Progress is made quickly and it’s hard to screw up. I’d best hope so, one of the elementary school principals is my new neighbor. 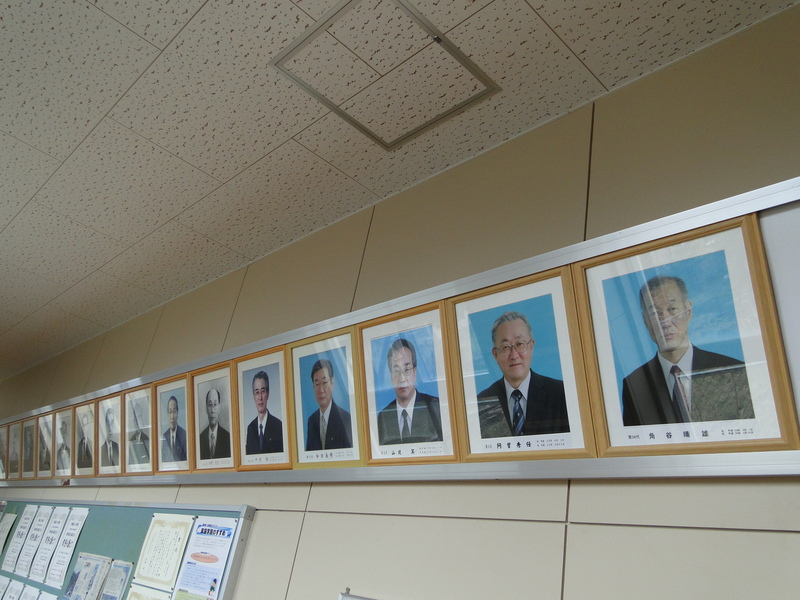 All of the schools in Japan that I’ve been too (so, like, 15-20), have a display like this – portraits of all of the previous school principals, with their names and dates of service. Some of the schools in my area are old enough that the first few portraits are paintings, rather than photographs.